Patients often come into our San Jose, California dental practice and complain about ‘a toothache the size of San Jose’. I understand this kind of pain, and realize that when you describe it like that, it really hurts. I can help. Toothache pain for anyone in San Jose can be unbearable. At the very least, toothache pain can cause you to avoid eating certain foods. Severe toothache pain can be downright debilitating, forcing patients to go to extreme measures to alleviate the pain. 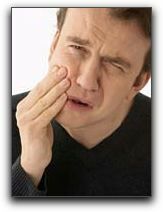 Around San Jose, the most common causes of a toothache include tooth infection, decay, injury, or loss of a tooth. This could mean you need a root canal. Tooth pain can also occur after a tooth has been extracted or following oral surgery. Of course, the best way to avoid toothache pain is to visit your San Jose dentist often, and to care properly for your teeth including a regular regimen of brushing and flossing. If you are experiencing toothache pain, and just can’t stand it any more, please give me a call; I am standing by to help. Other procedures that we offer in cosmetic and general dentistry are veneers, Invisalign clear braces, teeth whitening, and tooth implants. Get The Royal Treatment At Wes Yemoto Esthetic Dentistry: You Deserve It!